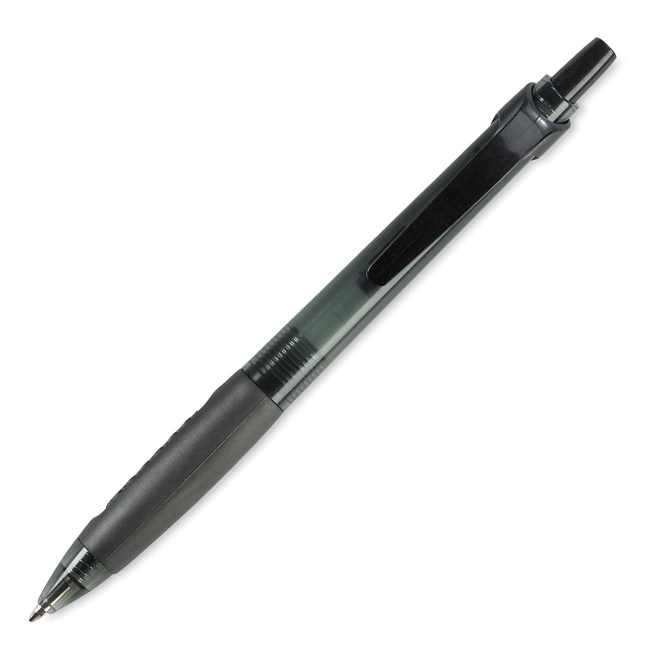 Retractable ballpoint pens feature a textured rubber grip and clip. Rubber grip and clicker match the ink color. Barrel is transparent but slightly tinted the same as the ink color.